Seaweed is the collective name given to Macroscopic Algae (visible to the naked eye). 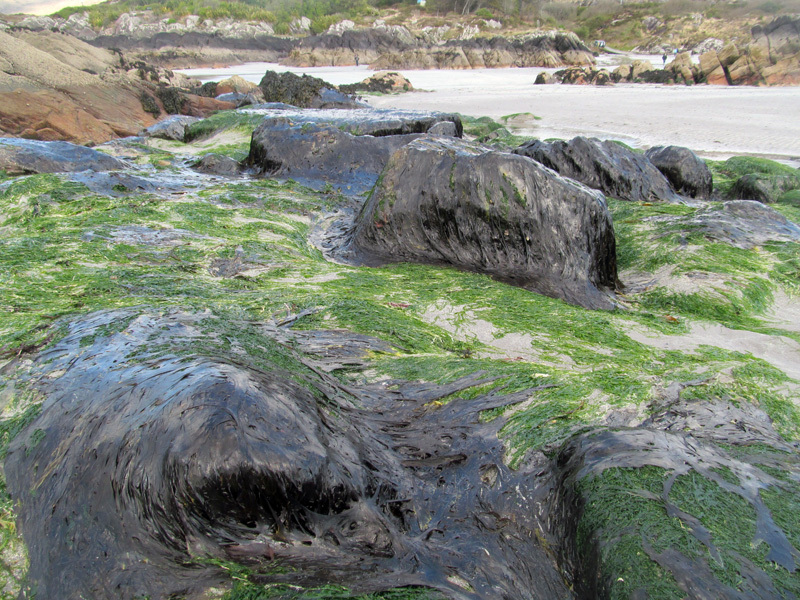 They are plant like organisms that generally live attached to hard substrata such as rocks around our coasts. They were empirically distinguished in the mid 1800s by the Irish botanist William Henry Harvey into three groups; the Green Algae ; Chlorophytae, the Brown Algae Phaeophytae and the Red Seaweed ; Rhodophytae. Like the land plants which descended from them, seaweeds generate their energy from the sun by photosynthesis. Their colours come from the dominating protein pigments involved in this process and these are governed by the specific wavelengths of light they have evolved to best absorb. Because of our location at the western edge of Europe and our temperate climate, the Irish coastline is blessed with over 625 of the worlds approx 10,000 seaweed species. Many of these have been eaten and utilised since ancient times. Earliest written references describe 6th century monks harvesting Dillisk/Dulse. Both Saint Brendan and the Vikings are thought to have carried Dillisk and/or sleabhac on their voyages to stave off scurvy with the Vitamin C they contained. With recent scientific research yielding important medical results and the increased culinary influence from the Eastern seaweed loving cultures of Japan, Korea and China, Sea vegetables are enjoying a massive renaissance. Our pristine shoreline supports a sustainable and abundant sea garden containing a food source packed with minerals, trace elements, anti oxidants and a vast range of easily assimilated nutrients. 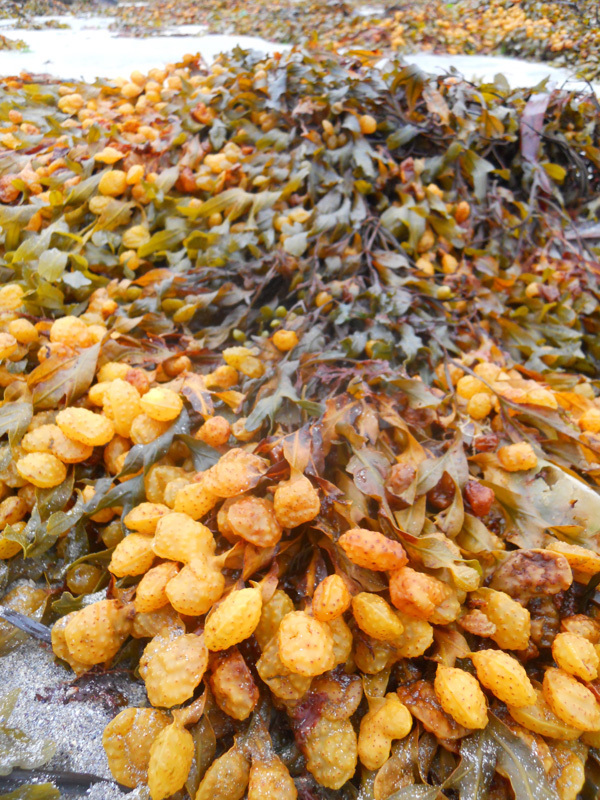 Virtually fat-free and fibre-rich, seaweeds can contain as much as 10 times the minerals of land plants. 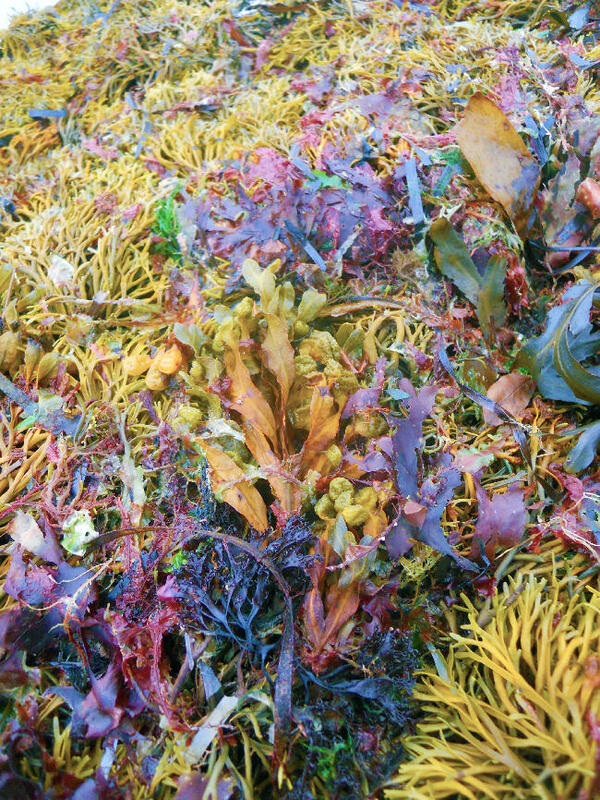 Some seaweeds are over 1/3 protein. They are a great natural source of Omega 3 oils, Iodine, Iron, Zinc and a range of essential B vitamins. Sea Grass,(Ulva Intestinalis), contains the highest levels of Vitamin B12 of any known plant. This Vitamin is absent in all land plants .With specific components, which do not occur in land plants such as Alginates, Fucoidans, Laminarins, Fucoxanthins and phyto-defensive compounds, seaweeds have been shown to have anti-inflammatory, anti-rheumatic and anti-bacterial properties. www.seaweed.ie is a helpful and informative site for more detailed information. Algaebase see www.algaebase.org is a hugely resourceful database.